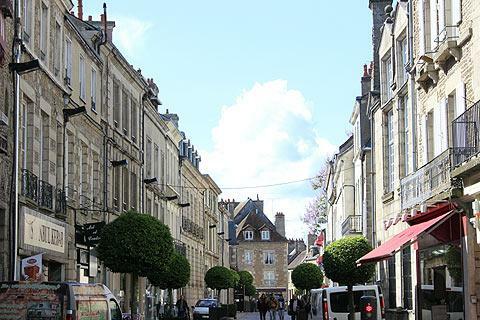 Alençon is an important town located in the Orne department, towards the south of the Normandy region and north of Le Mans. 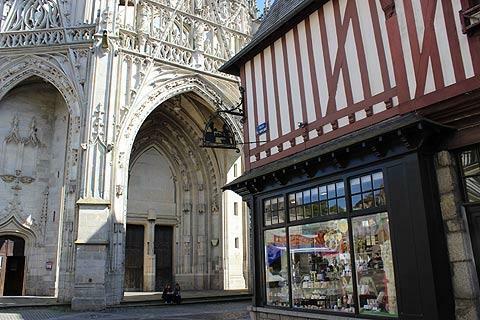 An important town in the 10th-11th centuries, Alencon is best known as an important centre for lace production, and although the industry is not very active nowadays the story is recounted in the town's Museum of Fine Arts and Lacemaking. In a gory story from the 11th century, when William the Conqueror besieged the town the inhabitants insulted him by hanging animal skins from the town walls - a reference to his mother being the daughter of a tanner. This must have annoyed William quite a lot, because when he finally entered the town he commanded that all the citizens have their hands chopped off! In the attractive centre of the town you will discover a historic section with some interesting half-timbered and ornate stone buildings lining the streets, and numerous small architectural highlights: it is very enjoyable to explore, with part of the historic centre also pedestrianised. 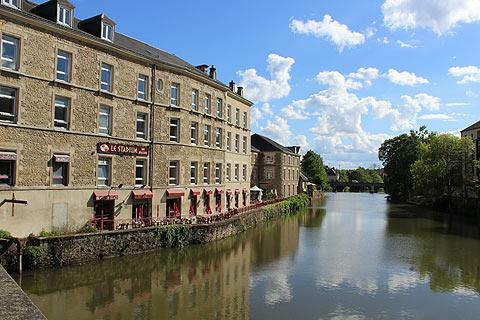 The part of the town on the Sarthe river is also attractive, and Alencon has a good selection of cafes and restaurants. There are several individual highlights of interest in Alencon. 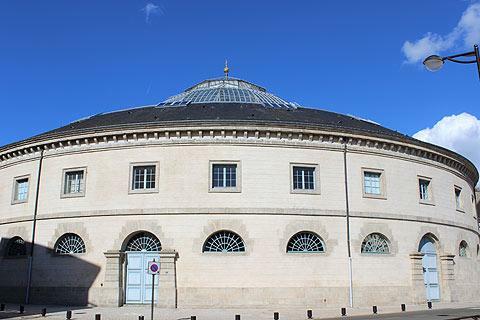 The most easily recognisable of these is the circular wheat hall dating from the begining of the 19th century and with a large round glass cupola on top that allows a large amount of light to enter the building. The 16th century Basilica of Notre-Dame is best known for its facade which contains a great deal of intricate stonecarving, particularly around the entrance, and perhaps reminding visitors of the importance of lacemaking to the town. Pass through the ornately carved entrance to see the mosaics and stained-glass windows inside the church. The 15th century Chateau des Ducs is another imposing monument in Alençon: it is mostly the castle towers that now remain, and part of the walls, forming an impressive entrance. Other buildings of interest include the 17th century Jesuit's church (now a library), the 15th century Maison d'Ozé that now holds Alencon tourist office, and the 17th century red-brick Hotel de Guise. The Jesuit church houses more than a hundred medieval manuscripts and has some handsome 18th century panelling. Well worth a visit. 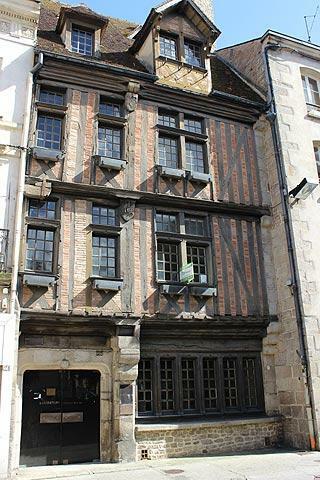 You will also see the impressive 18th century town hall with its tower in the centre of Alençon. The town hall has an interesting and unusual concave facade and during office hours you can enter the Town hall to see the monumental staircase. The town hall also has an attractive well-maintained garden, and there are various other pretty parks and gardens scattered around the town, along with fountains etc. The Parc des Promenades is the key one to visit. To learn more about lacemaking in Alencon you can visit the Museum of Fine Arts and lacemaking. It is home to the biggest collection of needle lace in the world. Market days in Alencon are Thursday and Saturday. Alencon is the birthplace of Saint Therese and as such there is a walking tour you can do taking in her family home, the 'Maison de la Famille Martin', the basilica where her parents were married and she was christened and various other sights linked to her and more particularly her parents Louis and Zelie. Interestingly her parents are the only couple to have been proposed as a couple for canonisation and all of Therese's sisters were nuns. Obviously a very devout family. 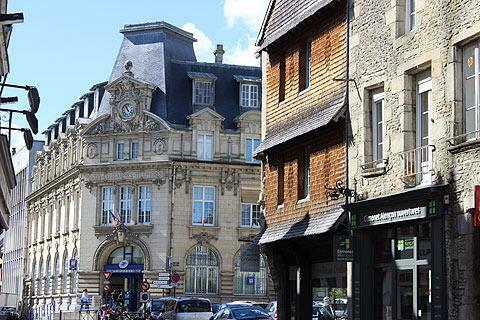 The surrounding region is known as the Pays d'Alencon which is part of the Natural Regional Parc of Normandy-Maine. There is a great deal to enjoy in the surrounding countryside including lots of very pleasant forest walks: start at Carrouges, which is the headquarters of the park as well as having a castle, church and priory. 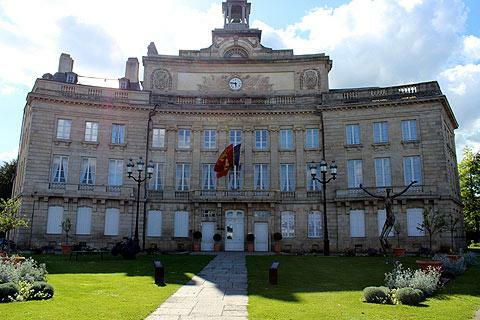 Of the many villages and historical monuments near Alencon we particularly recommend that you visit the village at Saint-Ceneri-le-Gerei, classified as one of the 'most beautiful villages in France and just 12 kilometres to the south-west of here. 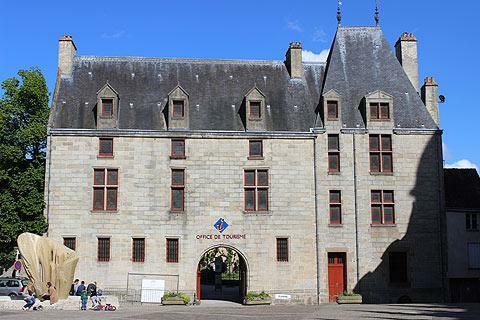 Also to the south, the town of Le Mans has a very impressive medieval centre. 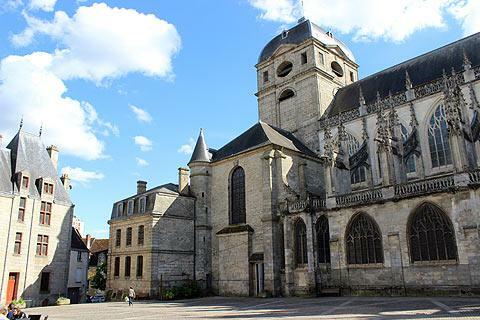 If you travel north from Alençon you can see the cathedral and other religious monuments in Sées.